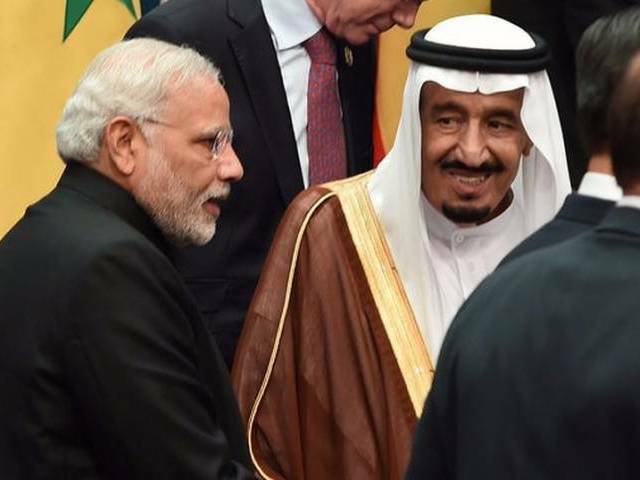 Indian Prime Minister Narendra Modi’s visit to Saudi Arabia on Sunday is part of a broader diplomatic offensive to put pressure on arch rival Pakistan by forging ties with some of Islamabad’s closest allies, Indian ruling party and government officials said. The visit comes just months after he travelled to another Pakistan ally, the United Arab Emirates, and signed a security cooperation agreement that includes regular meetings between top security advisers. “It’s simple. We have to do everything to deal with Pakistan – use economics, strategy and emotional ties to win the hearts of Islamabad’s friends,” said Ram Madhav, national general secretary of Modi’s ruling Bharatiya Janata Party. Nuclear-armed rivals India and Pakistan have fought three wars since independence in 1947, two of them over Kashmir. New Delhi has long accused Islamabad of sponsoring a separatist movement and militancy in the Himalayan region. Pakistan denies the charge and accuses India of occupying Kashmir and fomenting trouble in its restive provinces, like Balochistan.